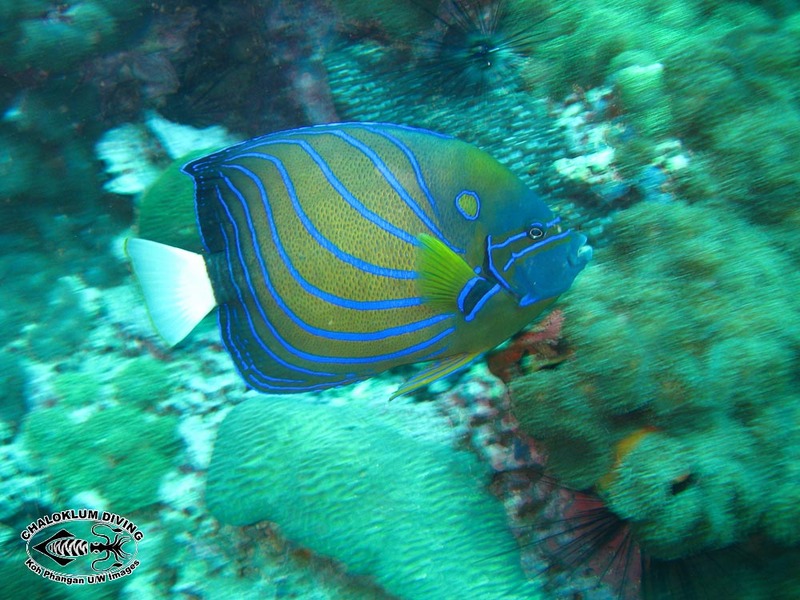 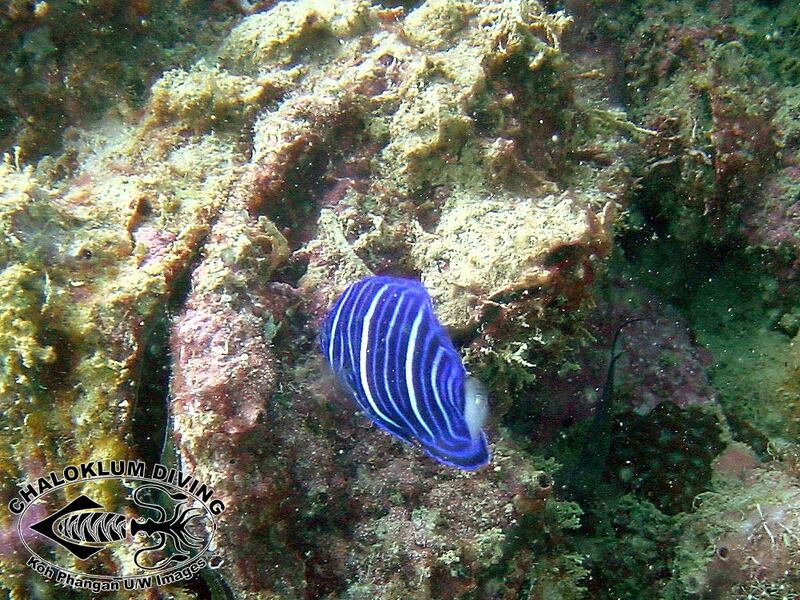 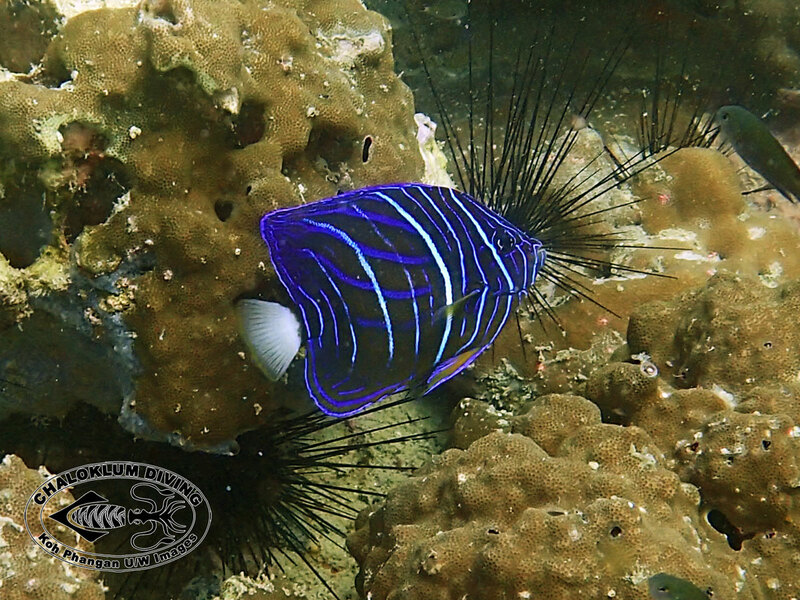 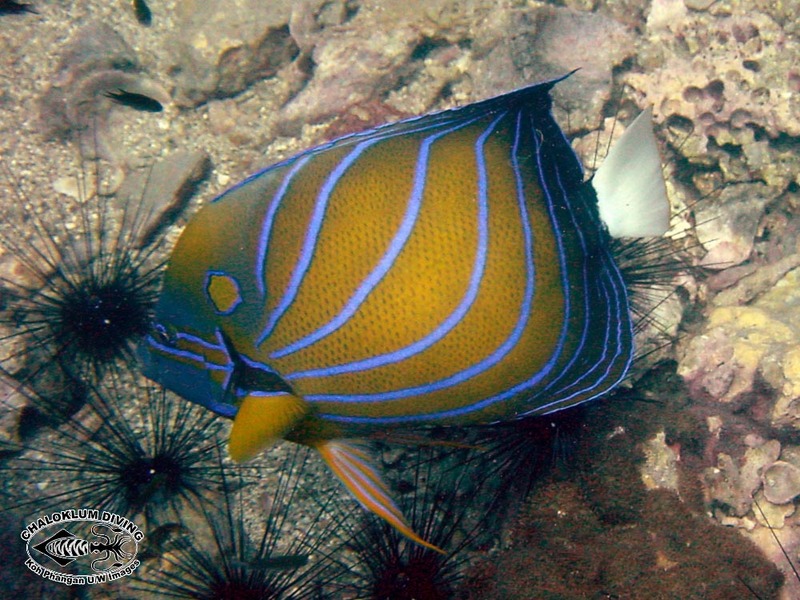 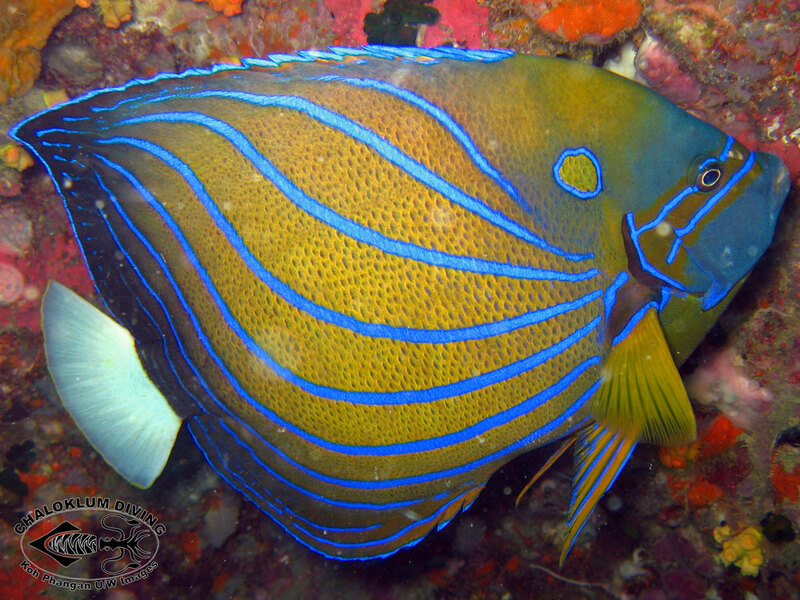 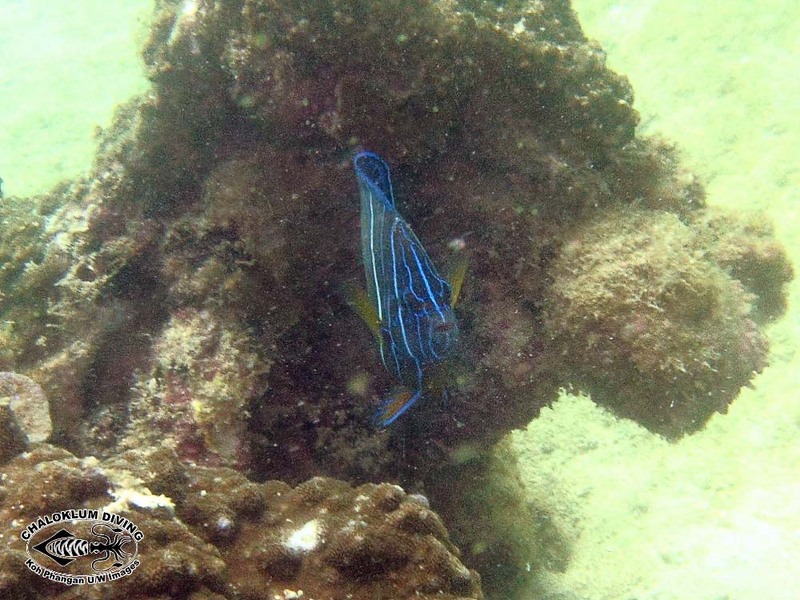 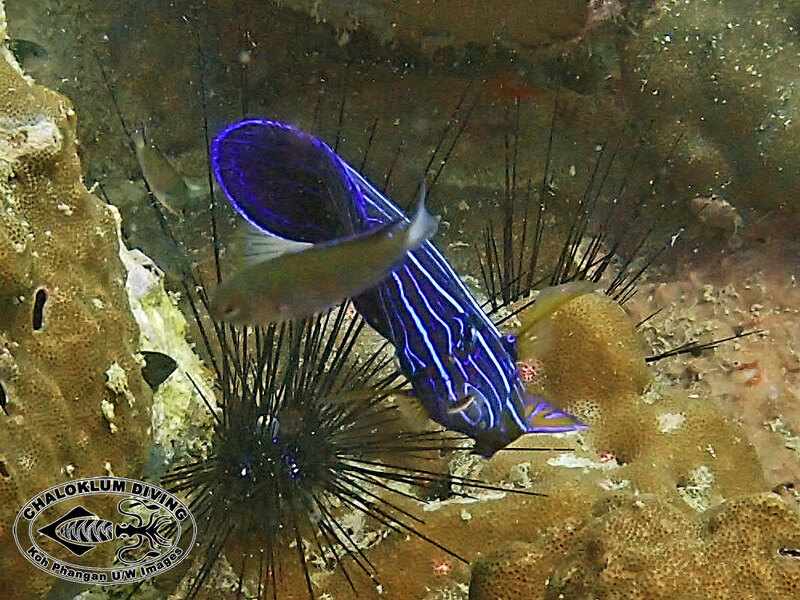 The beautiful Blue-ringed Angelfish can be found at most of the dive sites that we visit in the Gulf of Thailand. 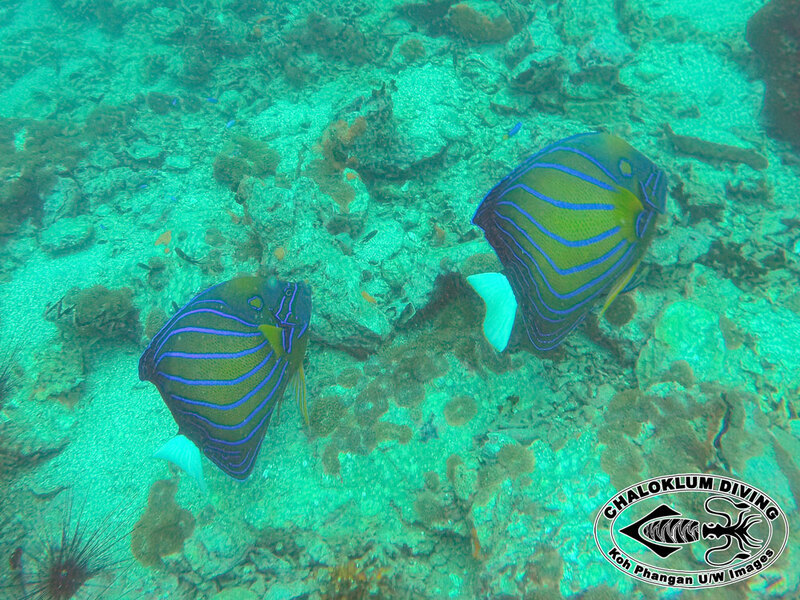 They undergo a complete colour transformation from the juvenile to adult stage, as you can see in the photos below. 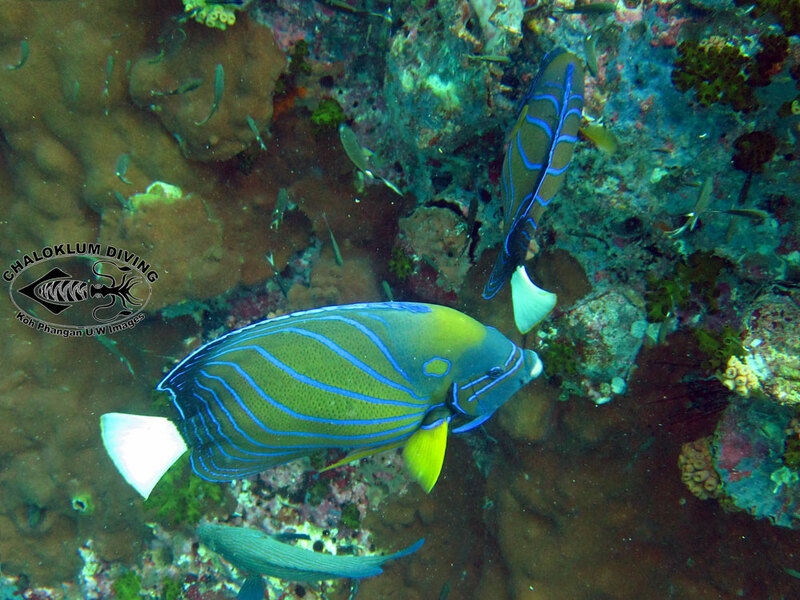 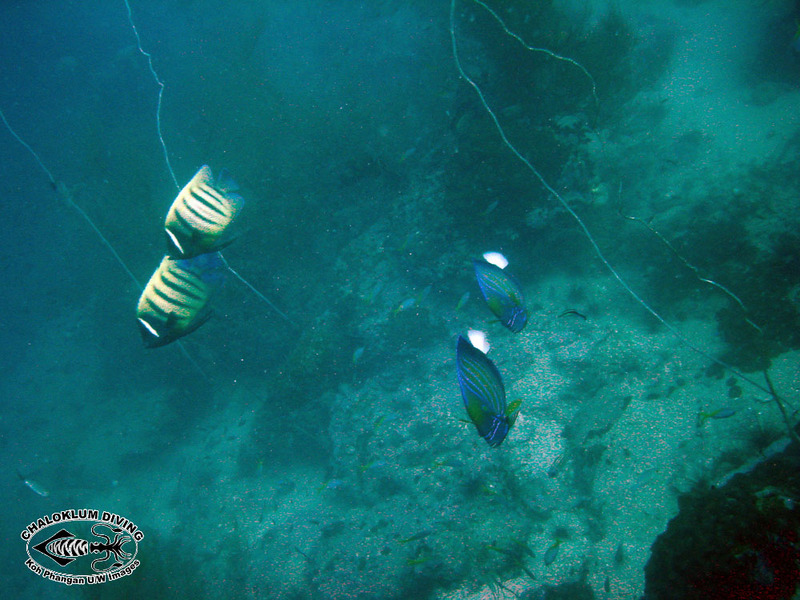 The video to the right has a nice finale with three Blue-ringed Angelfish showing courting behaviour on a lovely looking days diving at Anthong Marine Park.